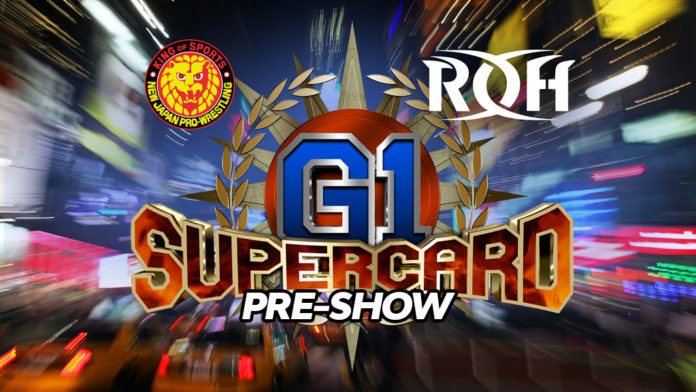 Ring of Honor has announced that the G1 Supercard will feature an Honor Rumble match on the event’s pre-show. The event is going to be held at the Madison Square Garden in New York City, New York on April 6, 2019. The pre-show begins at 6:30 pm ET, an hour before the main card starts broadcasting. The Honor Rumble match is basically a battle royal match comparable to WWE’s Royal Rumble. The winner of the match recieves a shot at the ROH World Championship. However the company has not announced yet if that is the case this time. The first Honor Rumble match took place in 2008 at the ROH New Horizons event. It has been periodically held seven times since then. The company said that more details will be announced for the pre-show soon. We’ll keep you updated as more information is revealed. As for the main card of the event, the IWGP Heavyweight Champion Jay White will defend his title against the winner of the New Japan Cup. Guerrillas of Destiny (Tama Tonga and Tanga Loa) will go against The Briscoe Brothers (Jay Briscoe and Mark Briscoe) in a winner takes all tag team match for both the IWGP Tag Team Championship and ROH World Tag Team Championship. A three-way match for the IWGP Junior Heavyweight Championship match is also set in place where the champion Taiji Ishimori will defend against Dragon Lee and Bandido. You can check out all the coverage on G1 Supercard by clicking here.